Vale of Rheidol Railway. 1963/08/30. 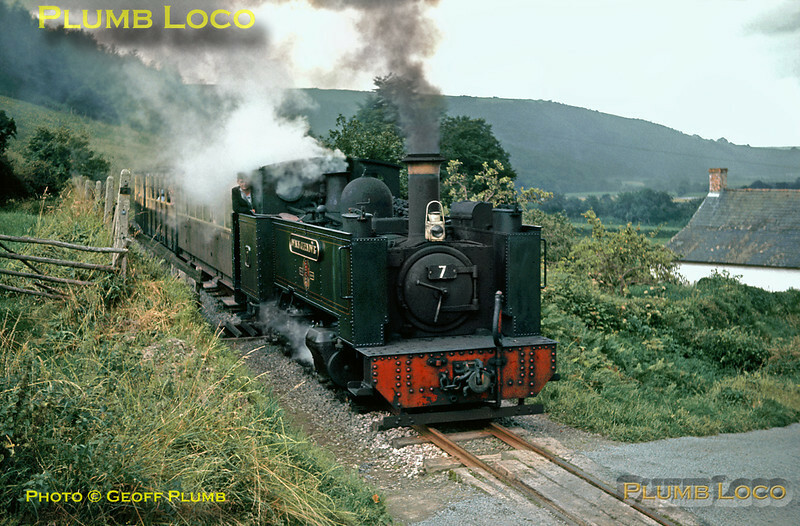 2-6-2T No. 7 "Owain Glyndwr" crosses one of several ungated level-crossings near Aberffrwd as it works a train up the valley from Aberystwyth to Devil's Bridge on Friday 30th August 1963. Slide No. 346.